*Disclosure: This post contains Amazon affiliate links. That means if you choose to make a purchase, at no additional cost to you, I will earn a small commission that helps support this ministry. As Christian parents, we want our kids to have a firm foundation for their faith before the world tries to chip away at it. Research by the Barna Group has shown that in the overwhelming majority of adults, their moral and spiritual foundations were already in place by age nine. In order to encourage our children to walk with the Lord for a lifetime, we must intentionally disciple them, and discipleship means helping them to think through what they believe and why. The harsh reality is that someone else at school or in the media will show our kids why gender identity and evolution are true, if we are not intentional about addressing these issues first. If we disciple our children when they’re young, while their worldviews are still being shaped, then we will set them on a rock that cannot easily be moved. 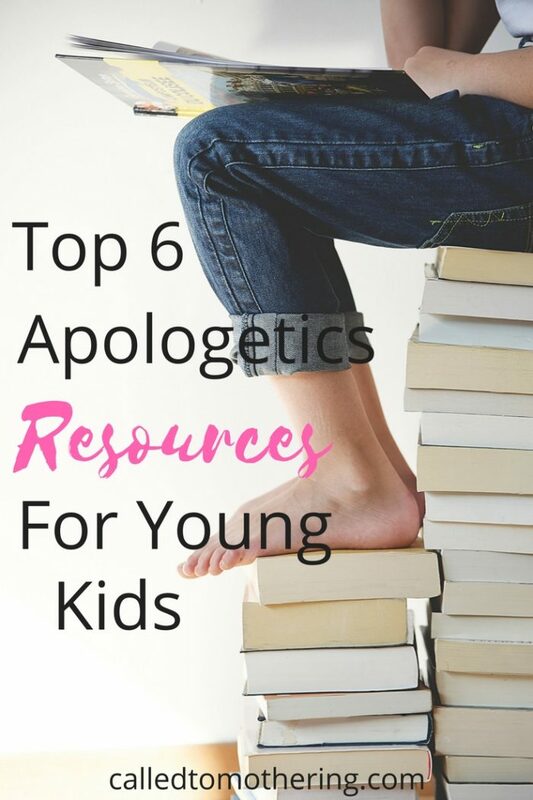 But introducing apologetics at an early age can seem like such a daunting task! Where do you even start? That’s why I compiled a list of some of the best resources out there to help you move forward. This ministry, focused on providing answers to biblical questions particularly from the book of Genesis, has a wealth of kid friendly resources. Their Answers Book For Kids series is great for family devotions or just regular reading time. Each volume includes bite size explanations on topics related to creation, evolution, science, and the age of the earth. AIG also publishes a monthly magazine called Kids Answers with articles and games. In addition to Bible curriculum, they offer full science and history curricula, too, whether you’re homeschooling or not. Each of the 8 packs in this series includes over five hours of action-packed entertainment following Jonathan Park, his sister Katie, and his parents through daring situations. The scientific and historical discoveries the family makes always bring opportunities for the characters to talk about the world from a biblical perspective and how God’s Word relates to our everyday lives. They also give good prompts that kids can really use when talking to friends, teachers, or others about their faith and why they believe what they believe. Their What We Believe series helps children ages 6-14 develop a biblical worldview of God & Truth, self, servanthood, and stewardship. Engaging stories, activities, thoughtful notebooking assignments, and Bible interaction make this fun and easy to use with the whole family! 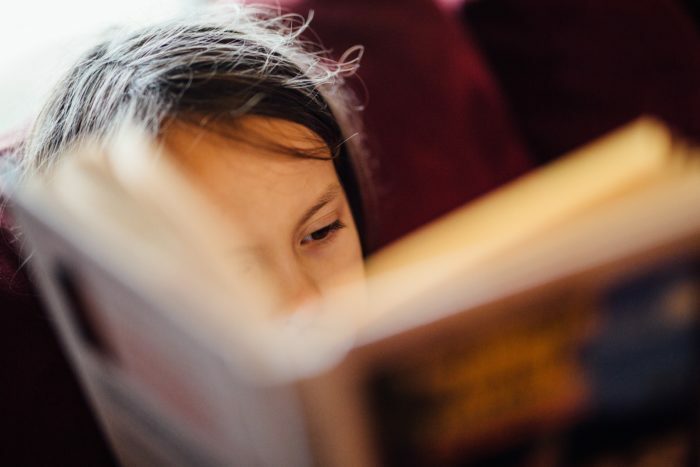 The series is written at a fifth- to sixth- grade reading level, so while older students can read and do the activities on their own, younger children will need you to read along with them. The notebooking journals include age-appropriate activities like fun drawing assignments, crossword puzzles, word searches, coloring pages, fill-in-the-blank vocabulary exercises, and Scripture copy work to cement what your children are learning. Based on Lee Strobel’s book, The Case for Christ, this children’s curriculum for ages 8 and up explores the truth about who Jesus is and what he did by encouraging kids to explore and investigate. The DVD-ROM contains PDF files with all of the material you need to run this program including lesson plans, parent pages, activity pages, and a leader’s guide. Each of these brightly illustrated books follows James and Ruth, two children who encounter a different animal character that presents a direct challenge to their beliefs. Through the engaging stories, kids are able to grasp biblical truths in their simplest form, which will build a sure foundation of faith for later in life. Each book creatively helps children identify logical fallacies and refute often repeated arguments heard from skeptics. This is the children’s companion to the bestselling Cold-Case Christianity by Detective J. Warner Wallace. Designed for ages 8-12, this thrilling, high-stakes investigation shows kids how to think rather than telling them what to think by testing witnesses, examining evidence, and filling in case notes, just like a real detective! Ultimately, they’ll come away with a solid understanding of who Jesus Christ really is through investigating the case for Christianity themselves. This is amazing. I knew about a few of these, but I’m sharing this list. Great list, should come in handy when I have kids. Thanks for putting together this list. I would like to add an excellent resource: Keeping Your Kids on God’s Side by Natasha Crain. She has a blog that I subscribe to that is amazing..Christian Mom Thoughts. Highly recommend it for apologetics from a YOUNG age! This makes me wish my kids were just a little older!! I didn’t even know there were so many good resources out there!